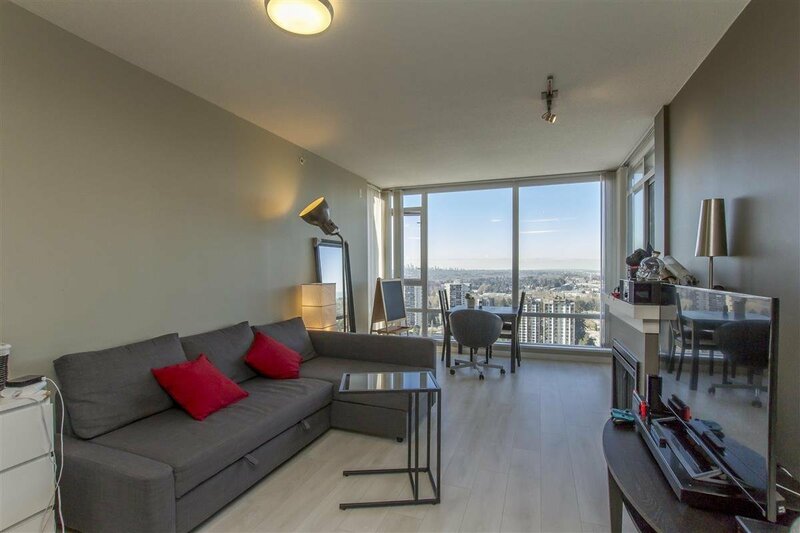 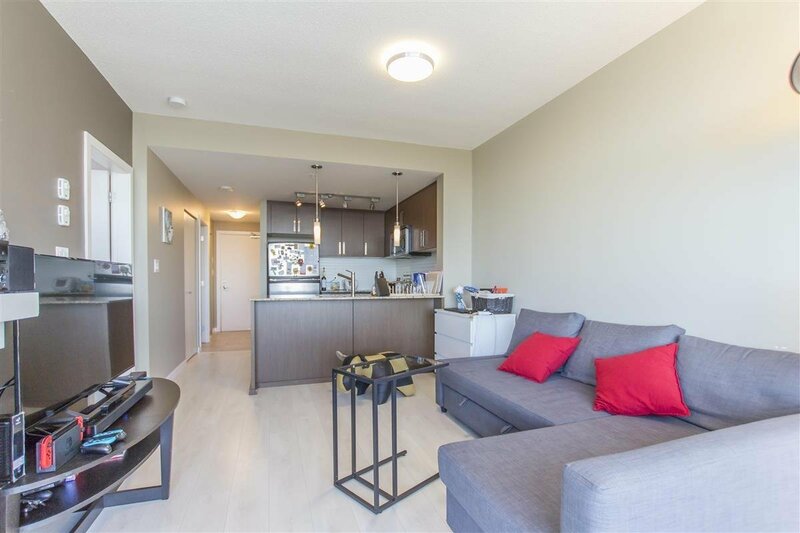 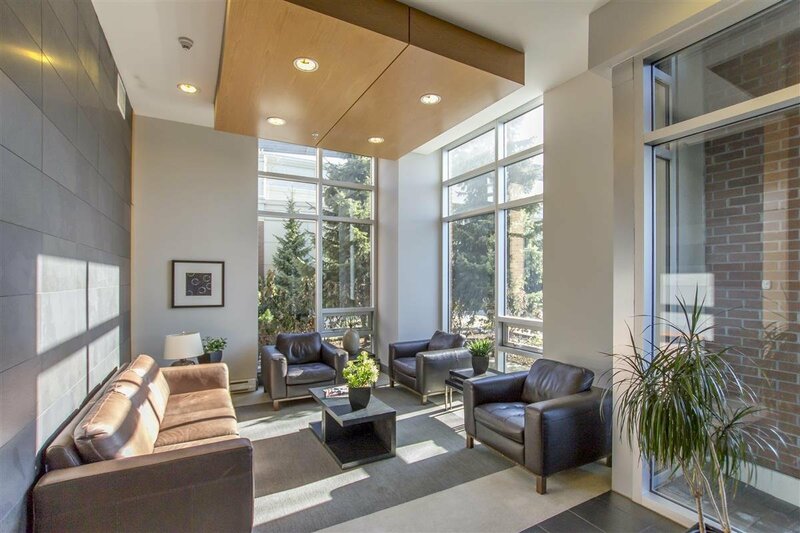 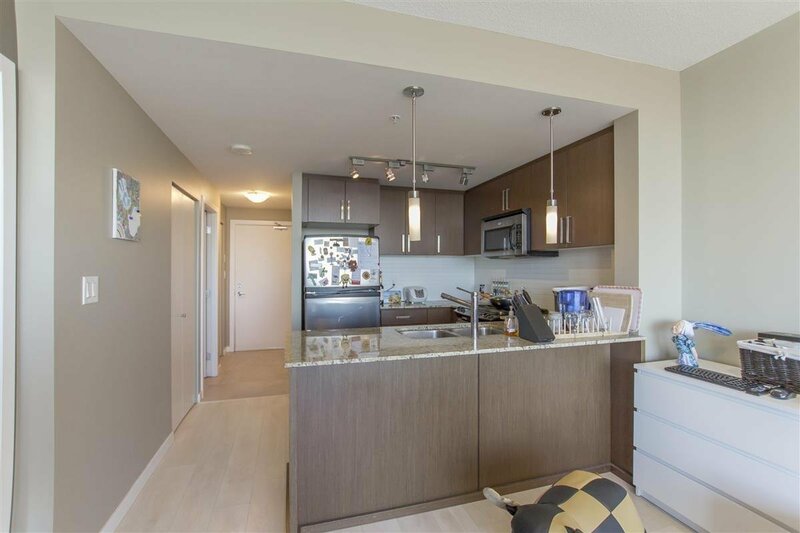 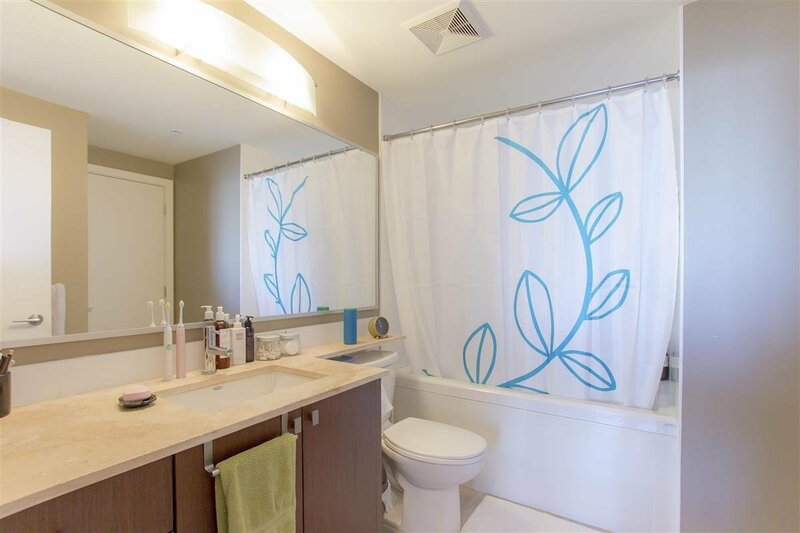 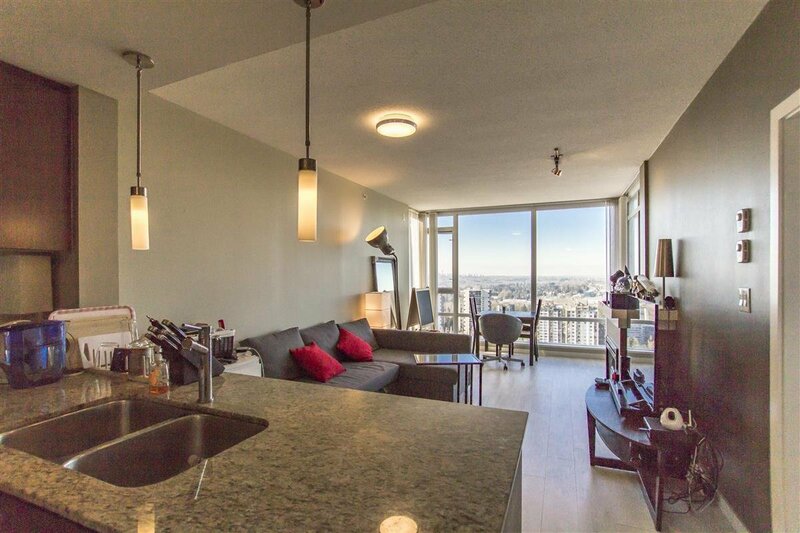 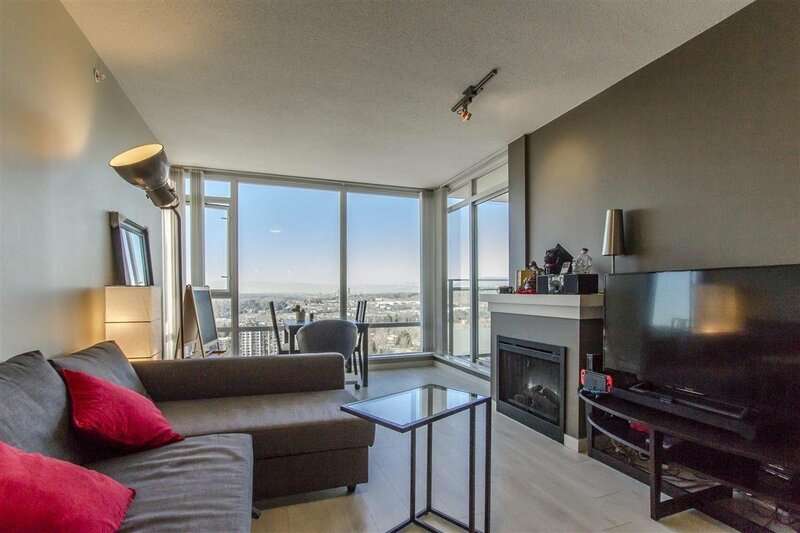 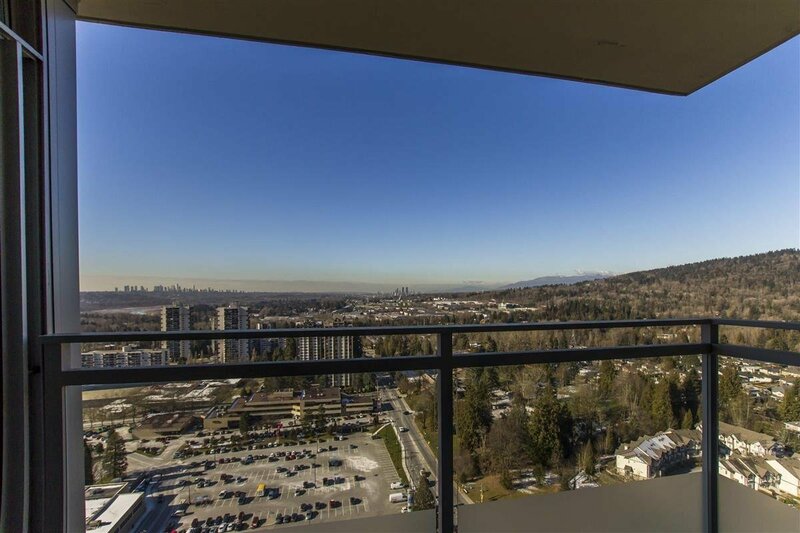 Bright & spacious one-bedroom & den unit with AMAZING VIEWS of city & mountains! 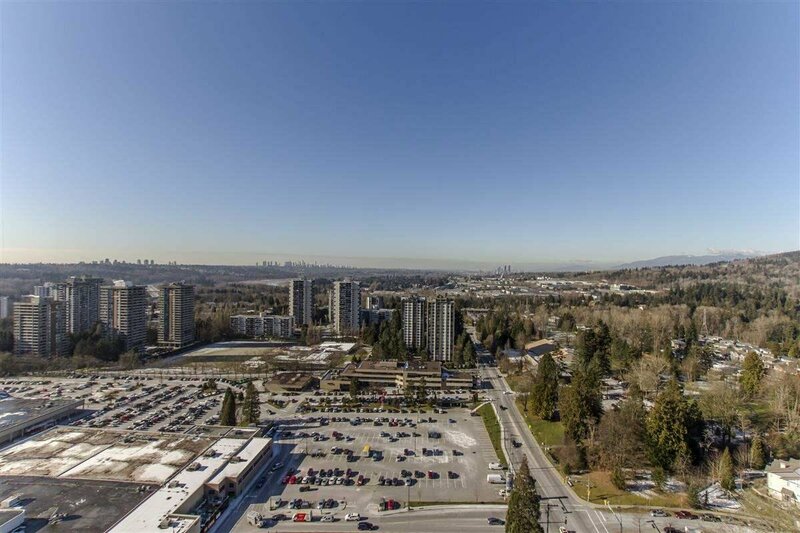 Silhouette concrete building located in the heart of Lougheed Town Centre. 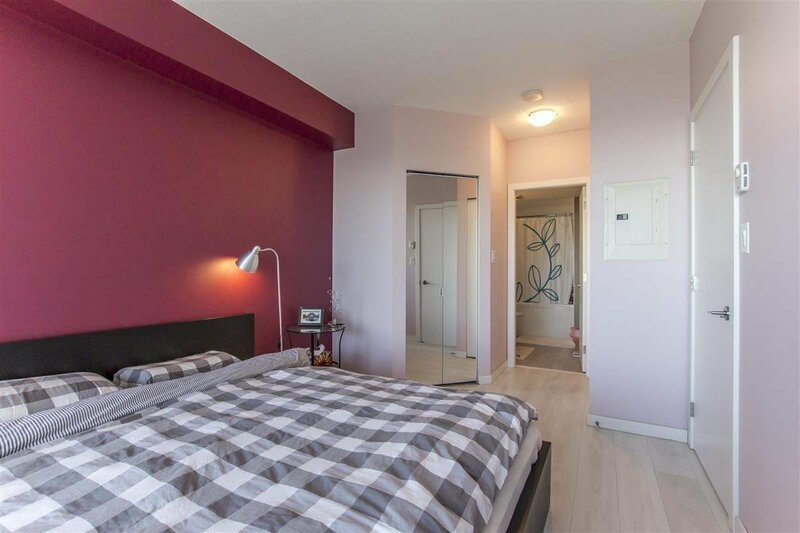 Spacious & bright until with large Living Room and large Bedroom. 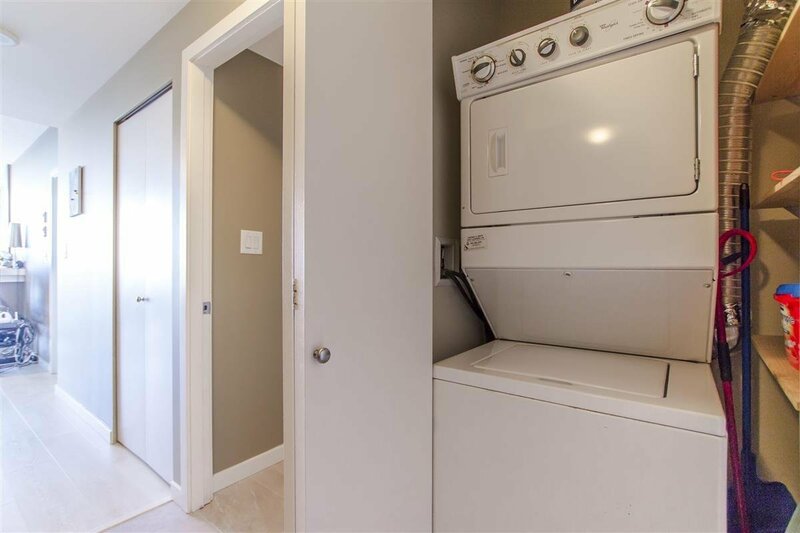 This unit in great condition with many updates. 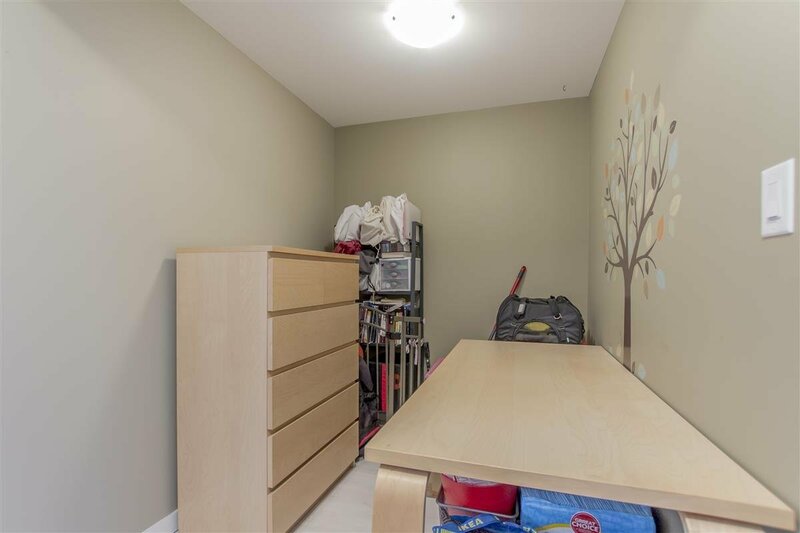 Den can be used as bedroom or office space. 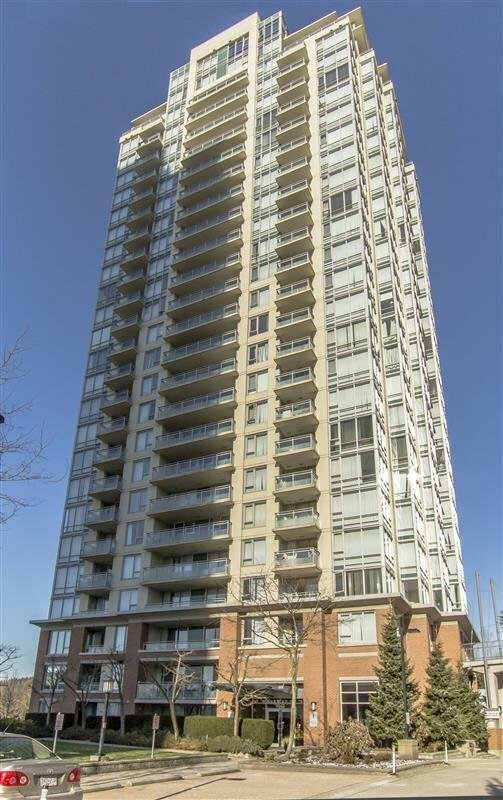 Building offers great amenities, ie., club house, gym, garden, wheelchair access, in-suite laundry, 1 pkg & 1 storage locker. 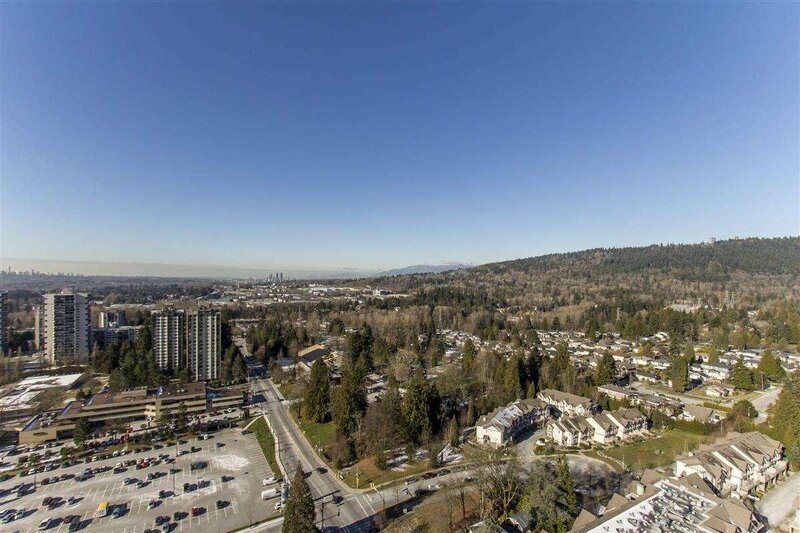 Close to SFU. 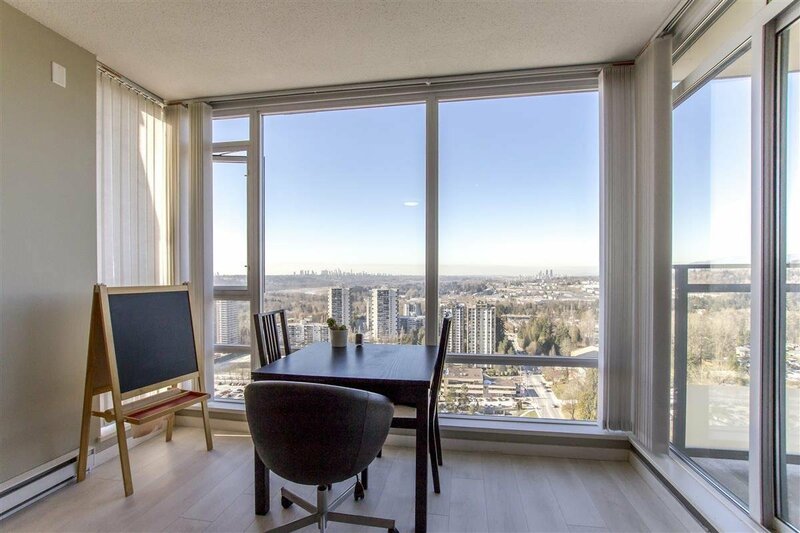 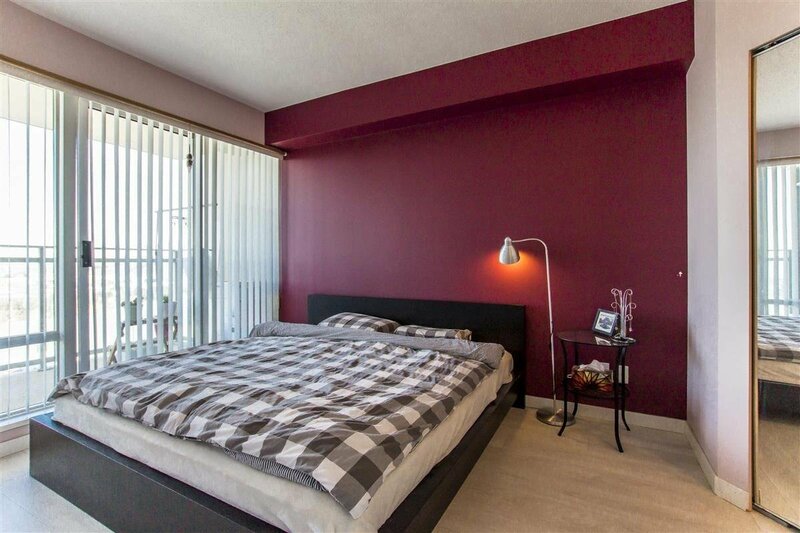 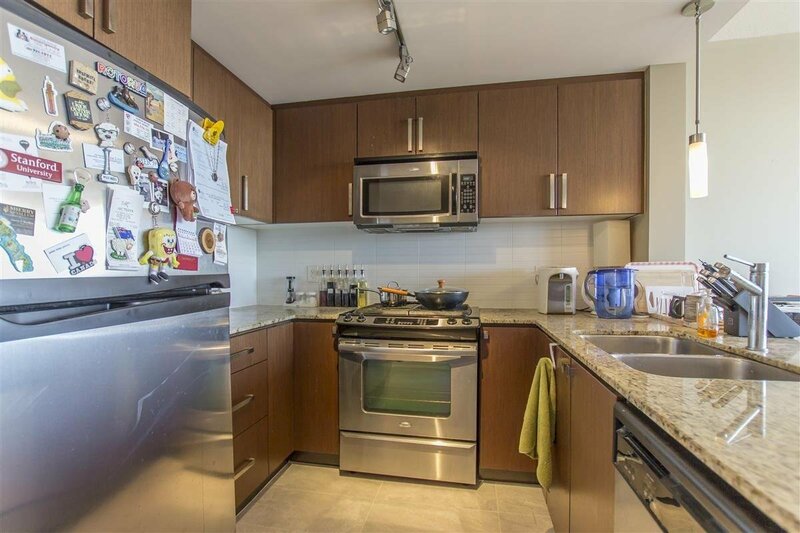 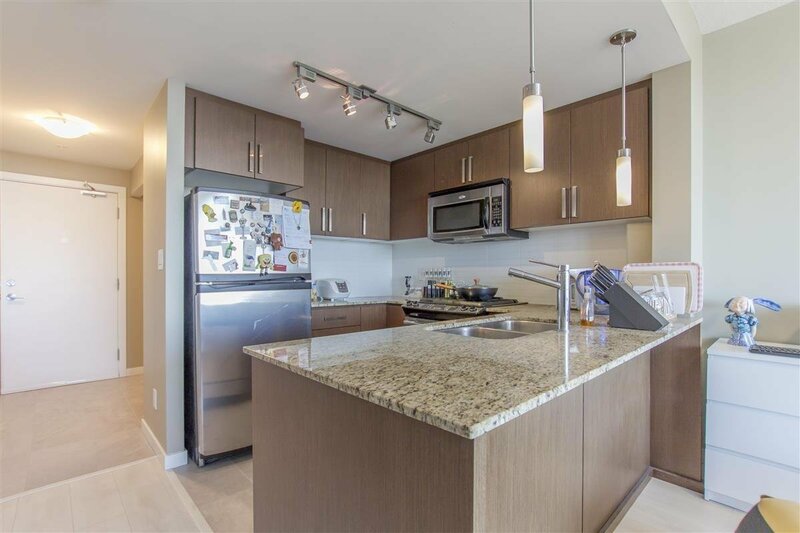 Shopping centre, Skytrain Station, & restaurants all within walking distance. 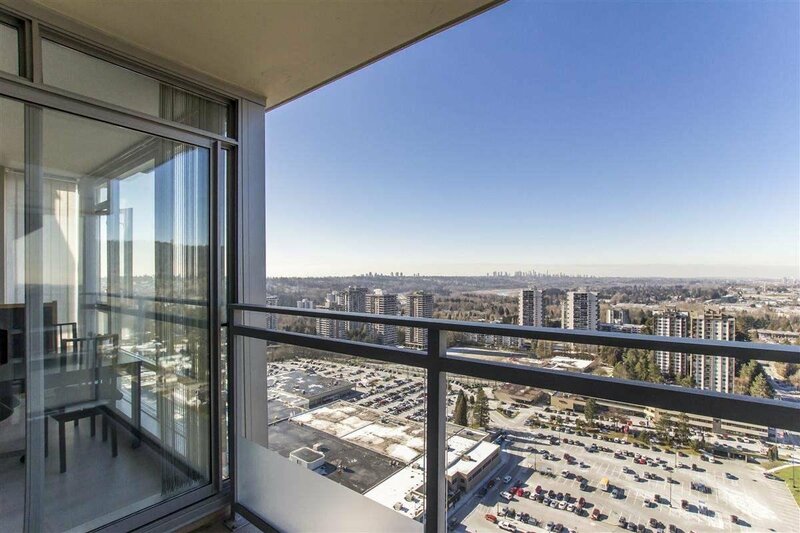 On-site caretaker/security. 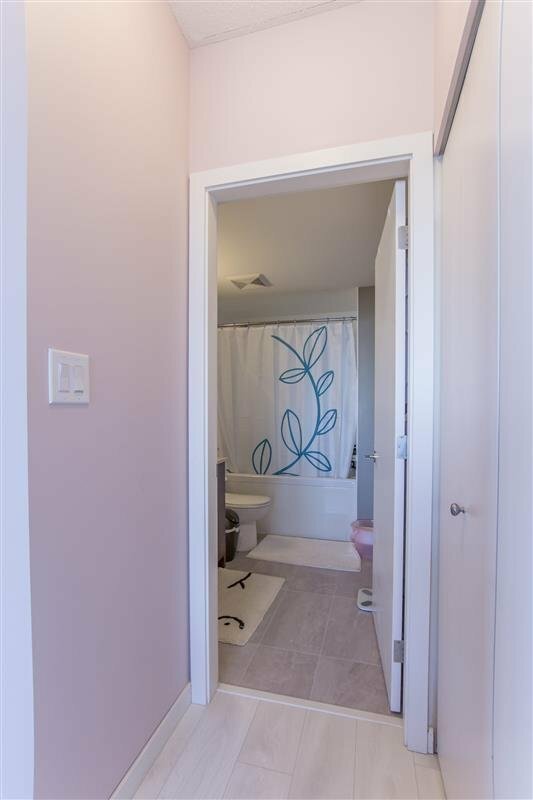 Excellent opportunity to live in or for investment.